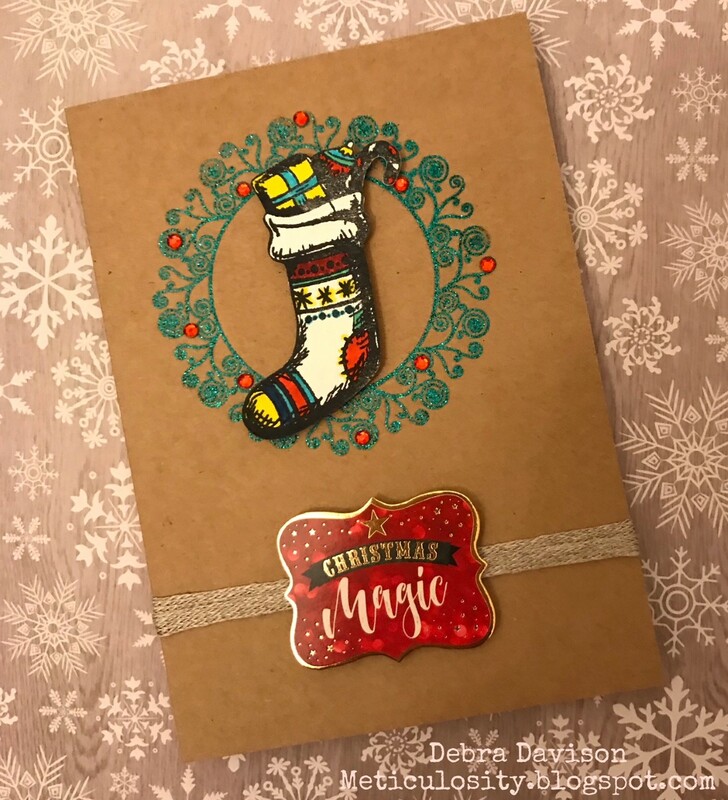 Thank you for coming back for Week 3 of our Christmas in August Blog Hop with the Anthony's Paper Craft Design Team. We are showcasing holiday stamps and hoping to inspire you along the way. This week, I am also having a giveaway this week - comment on this blog post for a chance to win an Anthony's Paper Craft holiday stamp and a few of my other favorite holiday goodies !! For this card, the first thing I did was to get out my MISTI. I wanted to make sure the image was centered correctly on my Kraft card base and also that I had a perfectly inked image to emboss. I prepared my card base by rubbing my Embossing Buddy on the card. This eliminates static cling before stamping and adheres the embossing powder only to your stamped image. Genius, right ?!?!?! 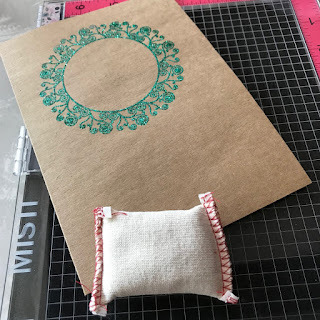 I used Ranger Perfect Medium to stamp the wreath/circle image onto my Kraft card base, This is a sneak peek of s soon-to-be released stamp from Anthony's Paper Craft. American Crafts ZING Green Glitter was then sprinkled onto the Perfect Medium and heat embossed. Memento Tuxedo Black ink was used to stamp the stocking from the Stockings 1 stamp set and I then fussy-cut the image. I then colored in the stocking with a collection of my favorite markers - Sharpies, Flair pens, Faber-Castell PITT Artist pens and Distress markers. Red rhinestones were placed around the outside of my embossed image. I think they look like holly berries. The stocking was popped up in the center of the wreath using Foam tabs. A piece of Tim Holtz Idea-ology Linen Ribbon was wrapped twice around the bottom of the card. The sentiment was popped up with Foam Tabs. It is from the Christmas Magic Cardstock Multi-Pack by Paper House. I am having a stamp giveaway. All you need to do is comment on this post. Let me know if you have started your holiday cards yet. Do you even still send them ?? I try to make a few each month all year long so I have a stash when the holidays roll around!! 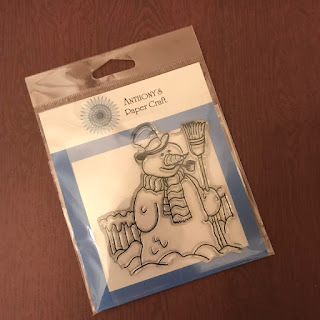 I will choose one commenter to win and they will receive this snowman stamp from Anthony's Paper Craft along with some of my other favorite holiday supplies . 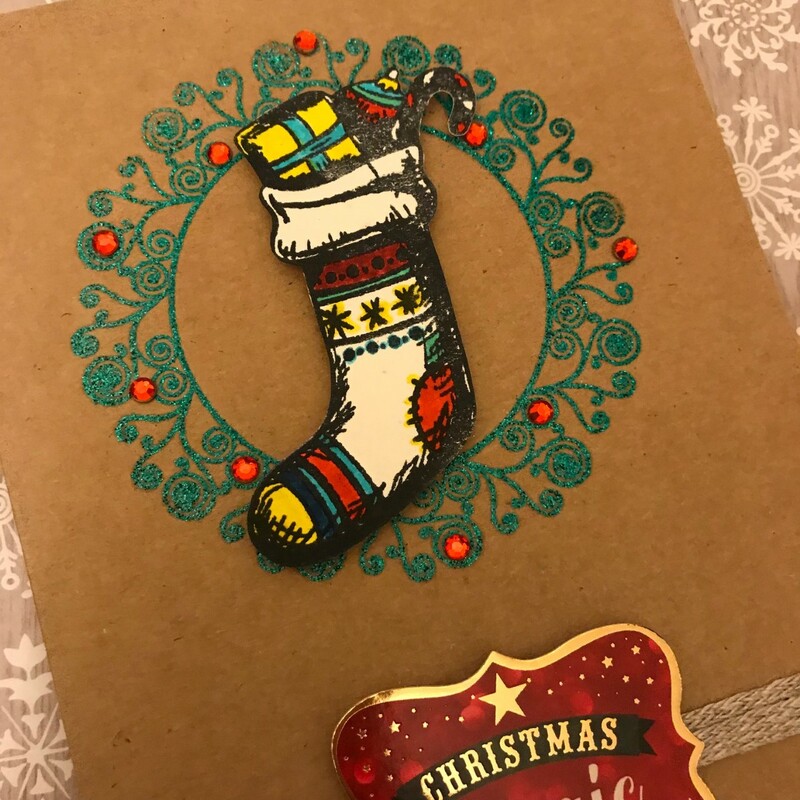 Thank you for once again visiting Meticulosity.We are having fun showing you our projects with the fantastic Christmas stamps from Anthony's Paper Craft. We will be back again next with with more inspiration for you !! And don't forget that Anthony is offering free shipping with any USA order over $25 through August 31,2018. Use the code "freeship25".